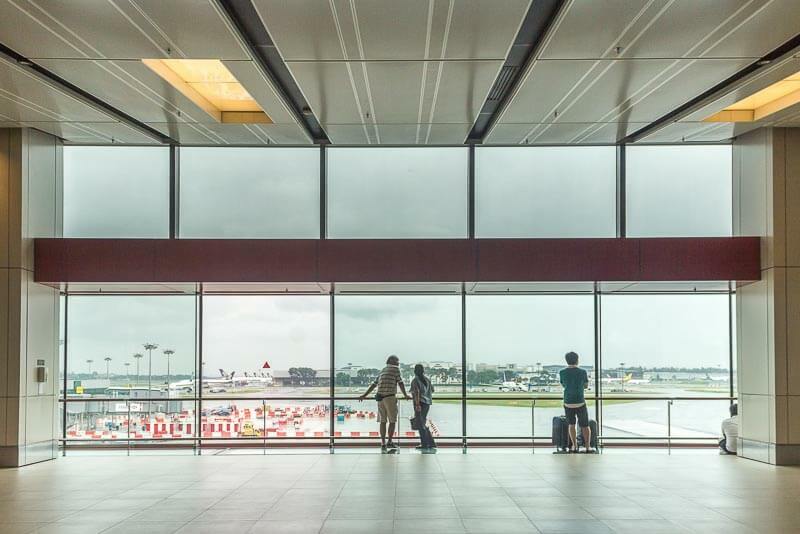 If you are that last-minute guy/gal who always arrive at the airport just in time before the check-in counter closes, I recommend that you arrive much earlier if you’re flying out from Changi Airport. I’ll tell you why. 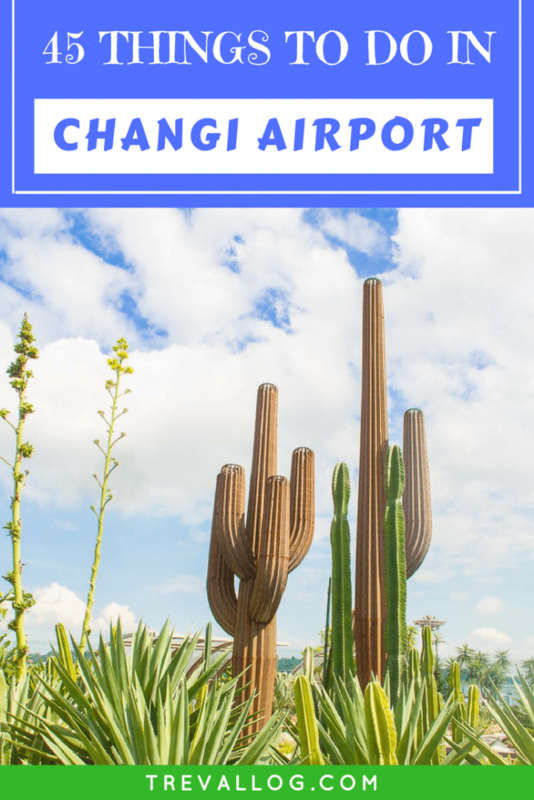 There are SO many things to do, see and eat in Changi Airport! And don’t worry if you’re on a tight budget. 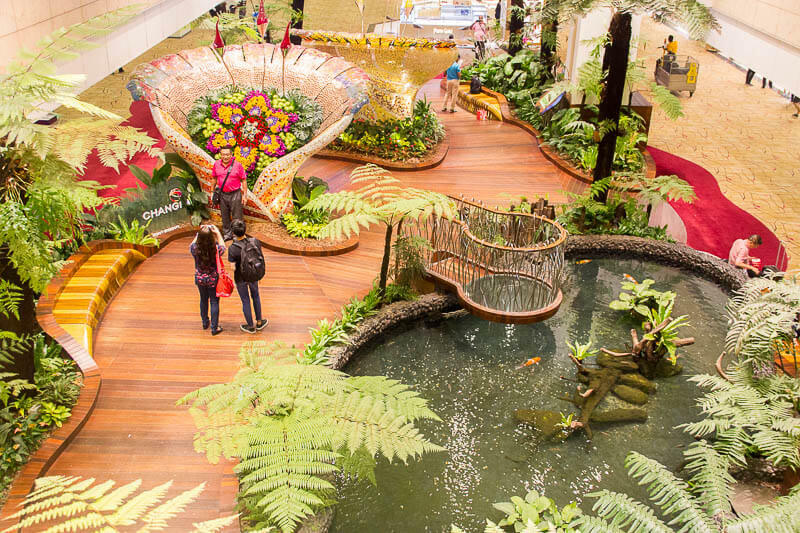 The most awesome places in Changi Airport are free anyway! Because I’m an ambitious traveller, I did what I should do. 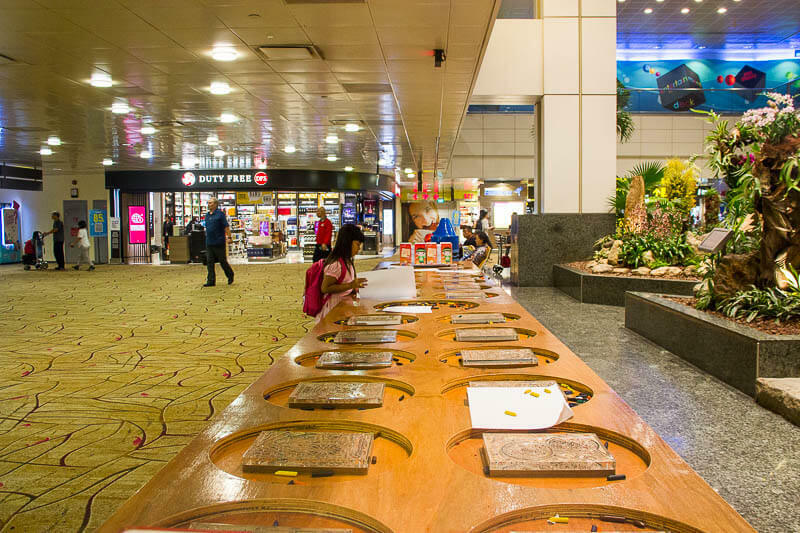 I spent a lot of time at the airport, trying to compile an enormous list of things to do in Changi Airport. The list is divided into 2 main categories: Free things to do and see, and things that require money. It also includes those places located at Transit Area (i.e. inside departure gate where only flying passengers are allowed to enter) and Public Area (i.e. area where everyone can access, regardless whether they’re flying or not). Not many people know how awesome Changi Airport is, including me two years ago. You don’t want to be the last person to know that there are cinemas, swimming pool and sunflower garden in Changi Airport! 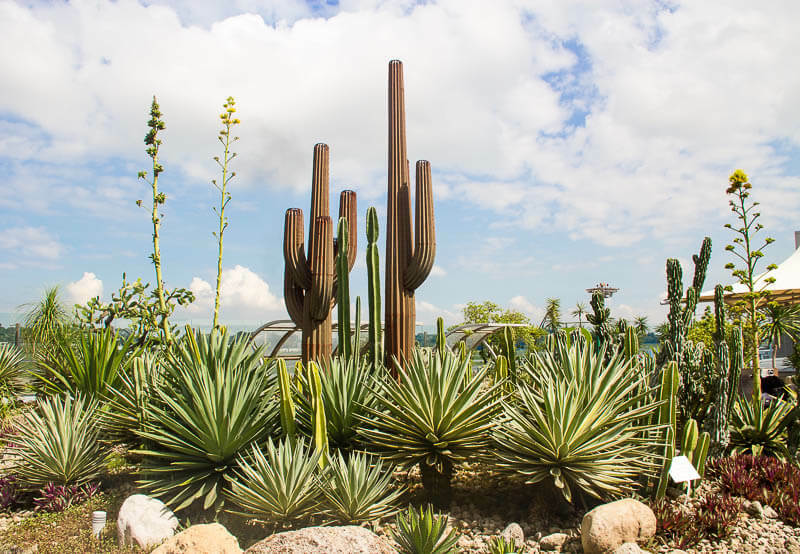 Cactus Garden is an outdoor rooftop garden that features more than 100 species of cactus! I love being surrounded by cactus. Since this garden is not sheltered, you might want to use sunscreen to protect you from sunlight. I just fell in love with this garden when I first saw it. How could I not? It’s the perfect place for Instagram shots, it’s out-of-the-world, it’s just not something that you expect to find in an airport. Basically, you can enter the garden from Level 2 or 3. It’s quite hidden and I often past by the garden without noticing it. 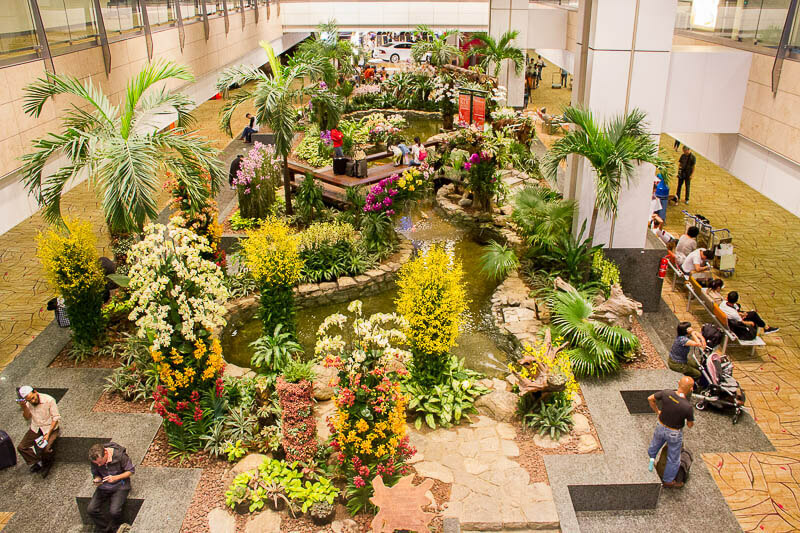 When I visited, I was the only person at the garden, so it’s really a hidden gem in Changi Airport. Now, this is probably the most known structure in Terminal 1. After passing the immigration, you’ll find a huge atrium where this tree is located. You can take a photo at the machine and decorate the photo before sending it to your email. You can also directly post the photo to your Facebook. Then, your photo will appear on the Social Tree for some time. At Water Lily Garden, you can find several ponds whether beautiful lilies grow in the freshwater aquatic environment. 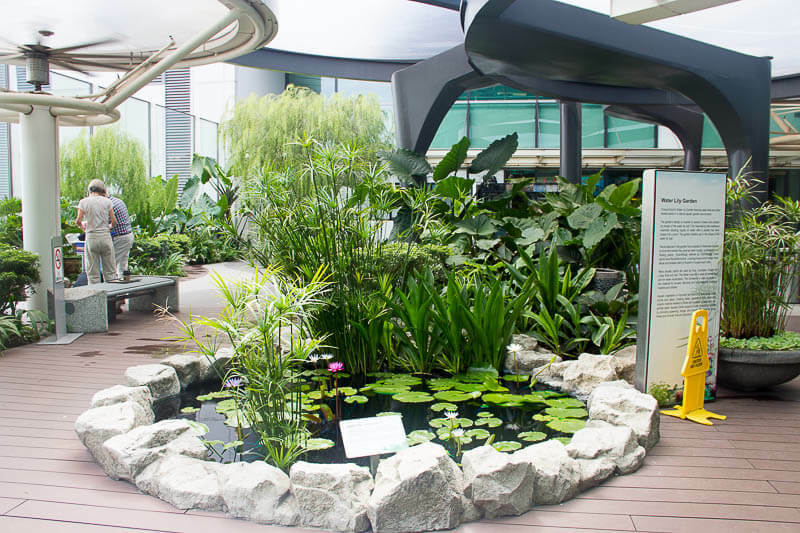 Located at Central Piazza right after immigration, Piazza Garden features seasonal flowers and plants that are important in Singapore’s culture. Need a nap? Or just need a quiet alone time to think, while staring at the planes? Enter Snooze Lounge. It’s available at Level 2 and 3 but seats are limited. 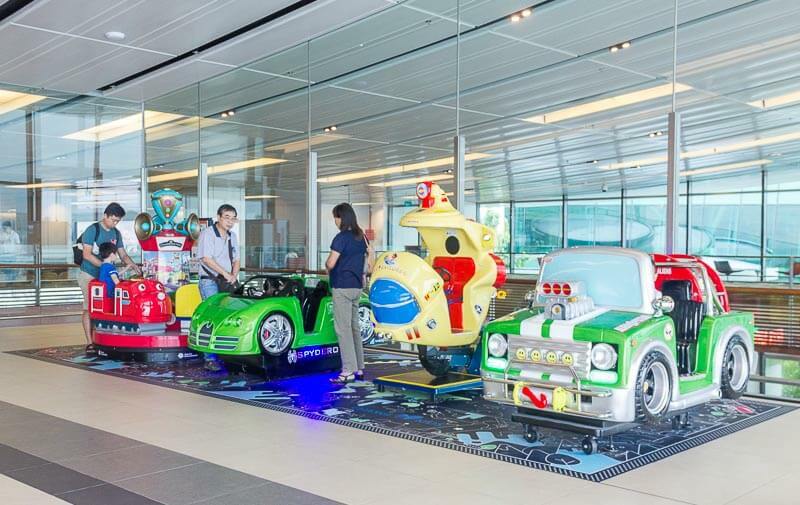 Let your kiddos (age 1 to 12) have fun at this simple playground while waiting for boarding gate to open. Viewing Mall is the place for you to see the planes even if you’re not flying. Located at Level 3 of public area, it can be quite challenging to find. Located nearby the Viewing Mall, Art Rubbing Station is the place to let your kids’ imagination run wild when you’re not flying. Watch 1,216 bronze droplets dance at Departure Check-In Hall. The Kinetic Rain is mesmerizing, therapeutic, inspiring, and addictive at the same time! A bright sunflower always brightens up my mood. And when there are hundreds, if not thousands, of sunflowers smiling at me, I feel like I’m in paradise! 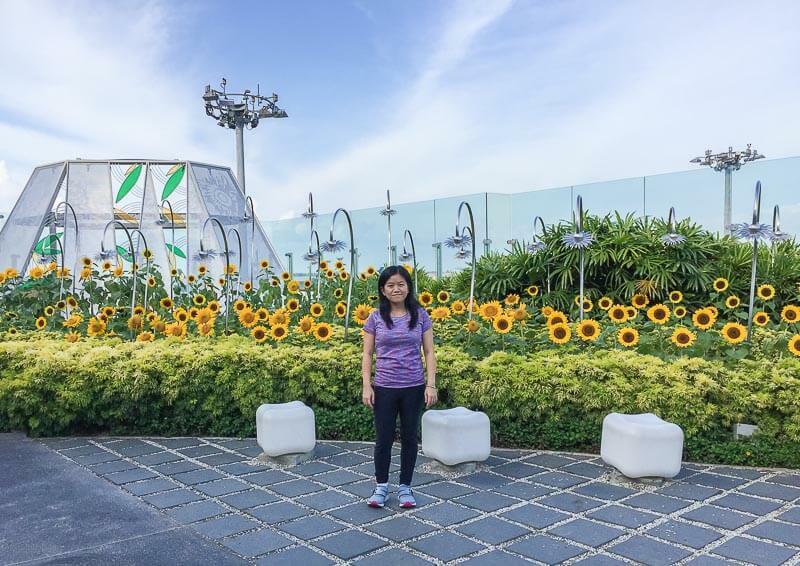 This Sunflower Garden is just SO beautiful, you don’t want to miss it when you’re in Changi Airport! If you’re a transit passenger, and you have at least 6 hours layover period till your connecting flight, why not join one of the free 2.5 hours guided tours? The Heritage Tour runs 4 times daily and the City Sights Tour runs 2 times daily. This option is perfect for people who have never explored Singapore, or who want to explore Singapore’s major sights without hassle. Enjoy the sound of nature amidst freshly-cut flowers and soft ferns at The Enchanted Garden. 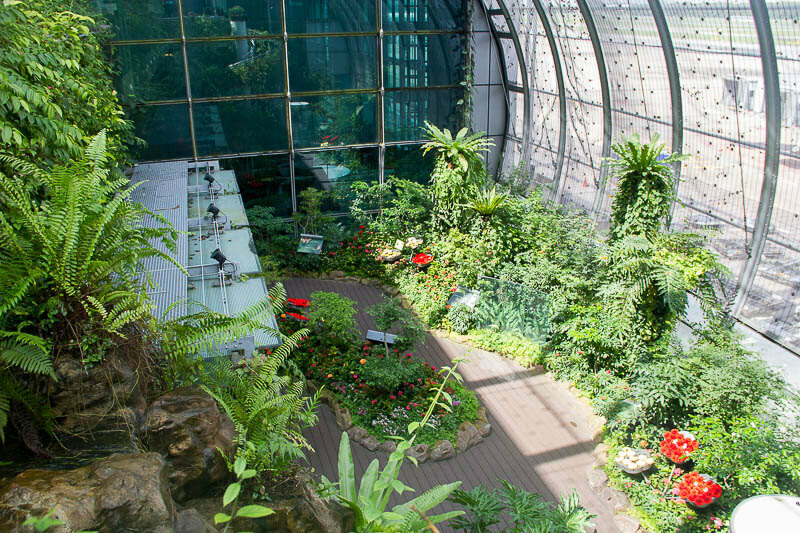 Admire more than 700 orchids of 30 species and various colours at the Orchid Garden. Free movie for 24 hours? 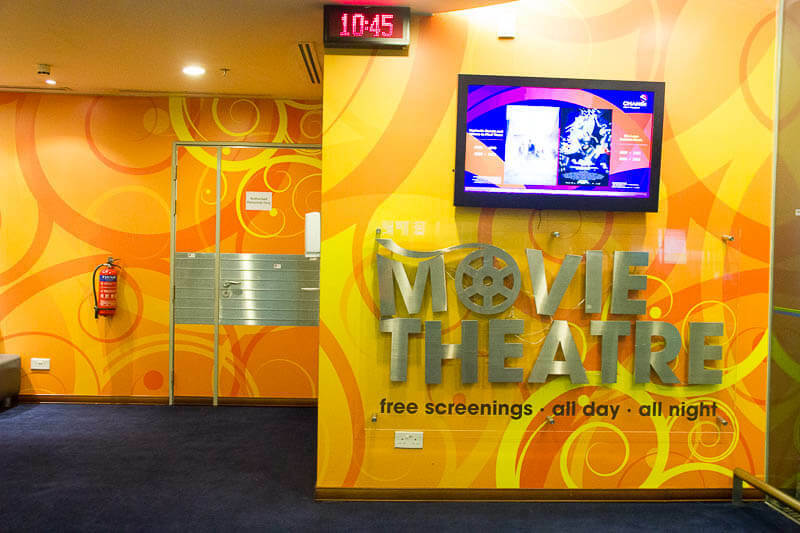 Yes, in fact, there are 2 movie theatres in Changi Airport. The first one is at Terminal 2, Level 3, just beside Sunflower Garden and Entertainment Deck. It’s so popular that most seats are always taken. But you can sit on the floor or stand at the back of the theatre to enjoy the movie! 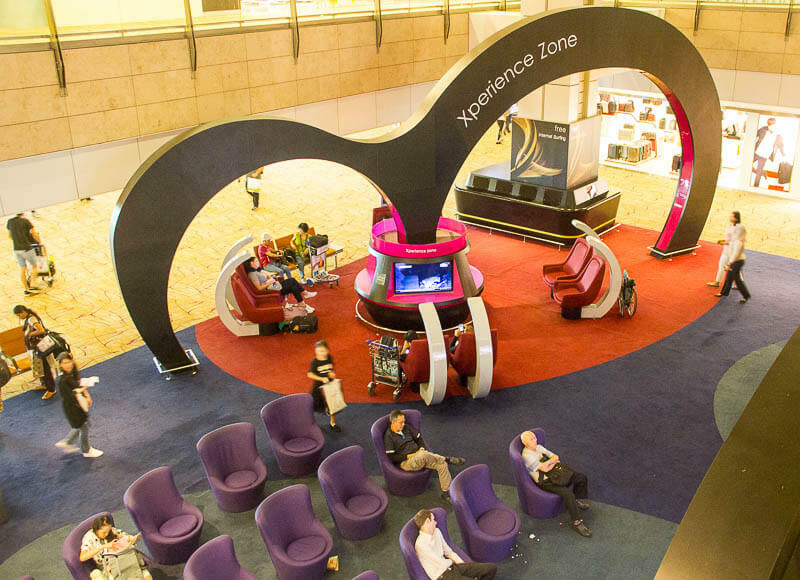 The Entertainment Deck is the place for you to lose the sense of time while waiting for your flight. There are Xbox 360 / PlayStation 3, Xbox Kinect room (it wasn’t working when we visited, though), MTV booth and cafeteria. Let your kids be entertained with the colourful slides at the playground or cartoons in the Family Zone. There are also diaper changing room and nursing room in the Family Zone. There are a few places in Terminal 2 where you can sleep or take a nap for free. First, it’s Oasis Lounge located at the opposite of Gate E11. It’s quite a huge place and seats are limited at night. Then, there’s Sanctuary Lounge located at the opposite of Gate E5. 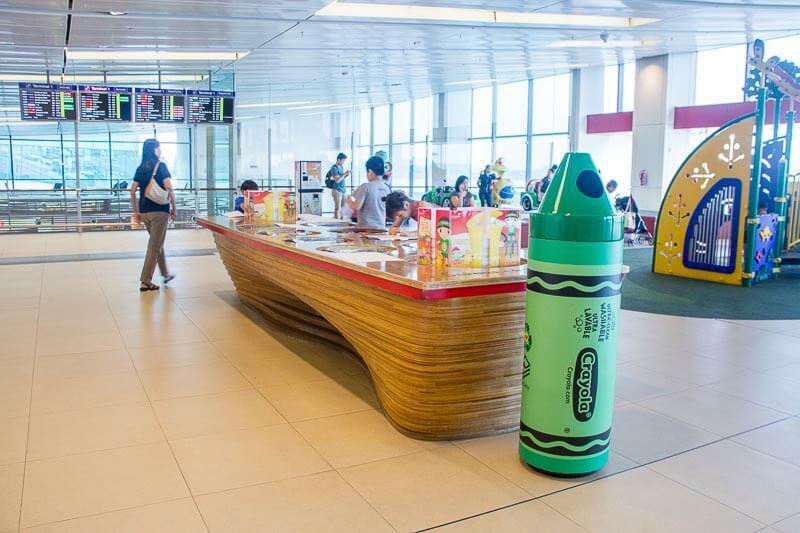 This Art Rubbing Station at Terminal 2 is located just beside Orchid Garden. Enjoy comfortable seats while watching sports events or catching up with financial news on large screens. If you’re not flying but would like to see planes, head to Viewing Mall at Level 3 of the public area. 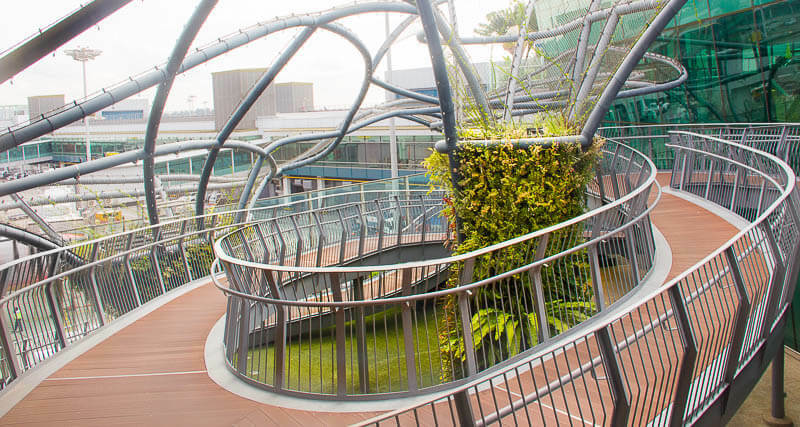 Oh my, this adorable 2-storey Butterfly Garden is FREE for every passenger to visit! 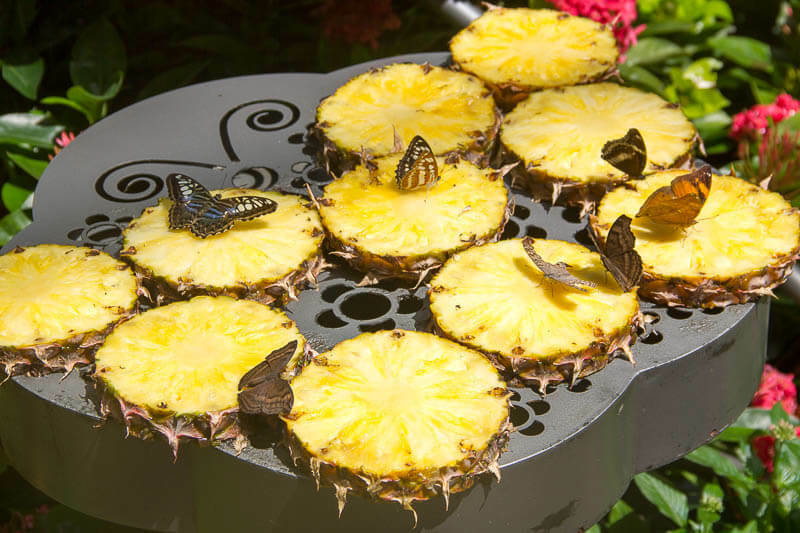 There are so many beautiful butterflies, flowers and pineapples in the garden. It’s so surreal, I spent like 30 minutes there and it wasn’t nearly enough! You HAVE to visit this awesome place when you’re flying to/from/through Changi Airport. This is similar to the one at Terminal 2. There are 2 types of tours offered: The Heritage Tour that runs 4 times daily and the City Sights Tour that runs 2 times daily. To be eligible, you need to be a transit passenger and have at least 6 hours layover period till your connecting flight. Each guided tour lasts 2.5 hours. Check the full requirement here. In terminal 3, the booth is located at Level 2, near Transfer Lounge A and Gate A1-A8. Similar to the one in Terminal 2, this Movie Theatre plays movie for 24 hours every day, except during the weekly maintenance. 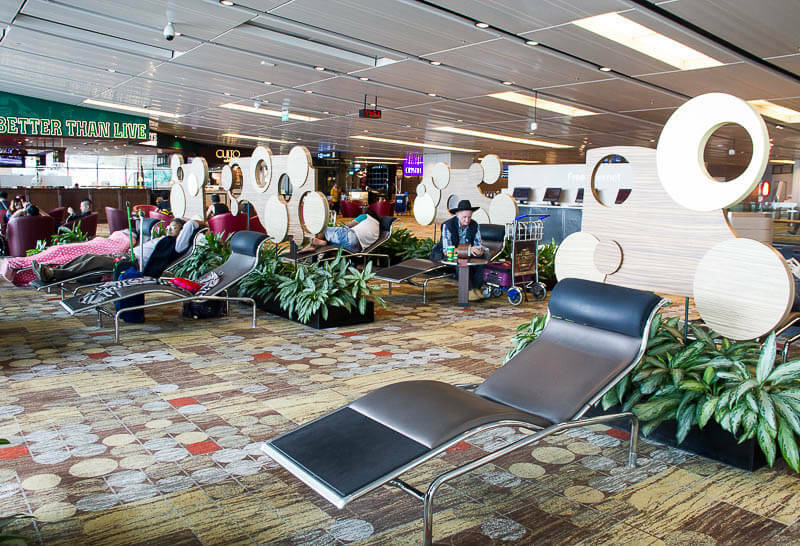 At terminal 3, there are 2 small snooze lounges at Level 2 where you can take a nap or sleep on a reclined bed (one is located near Playground, the other is near GST refund); both are facing the runway. The is also rest area at Level 3, near Singapore Food Street. 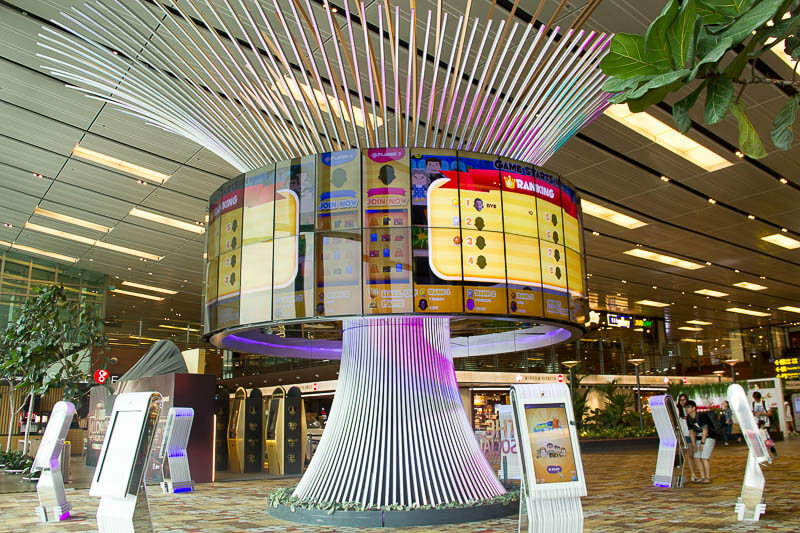 There are 2 interactive art stations in Terminal 3. One is located in Transit Area, Level 2 near gate A16 – A20. The other one is located in Public Area, Basement 2. 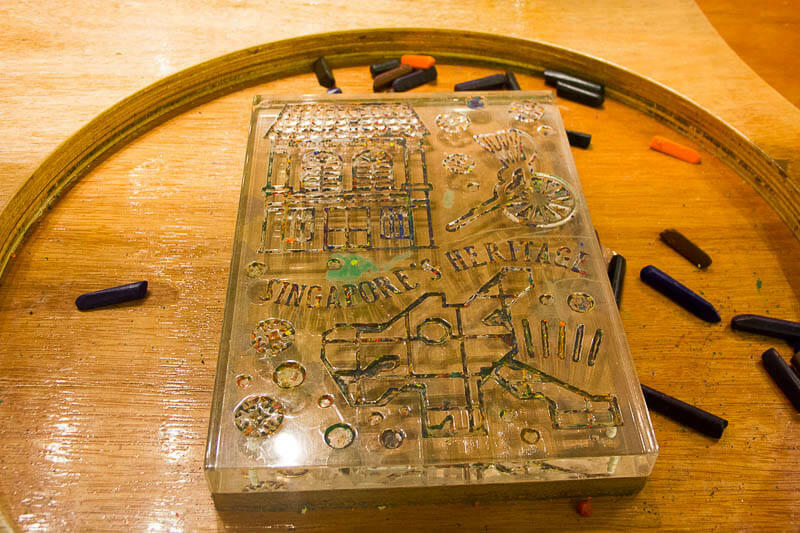 Both stations allow your children to create imprints from rubbing surfaces of Singapore and Changi Airport’s iconic landmarks. It seems like Terminal 3 has abundant facilities. 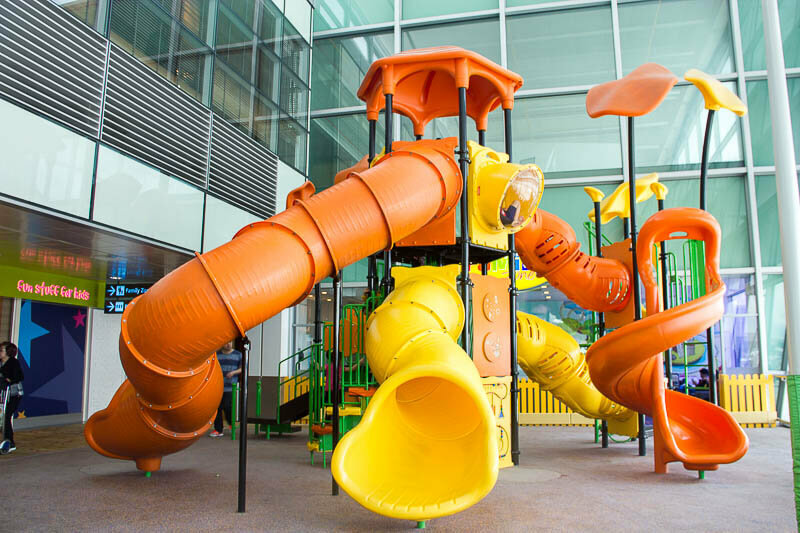 There are 2 play areas here, one at Level 2 near gate A16 – A20; the other one at Level 3, near Singapore Food Street. After all the exploration, you need a place to sit down, unwind and watch TV? Head to TV Lounge to watch TV shows while resting on plush seats. 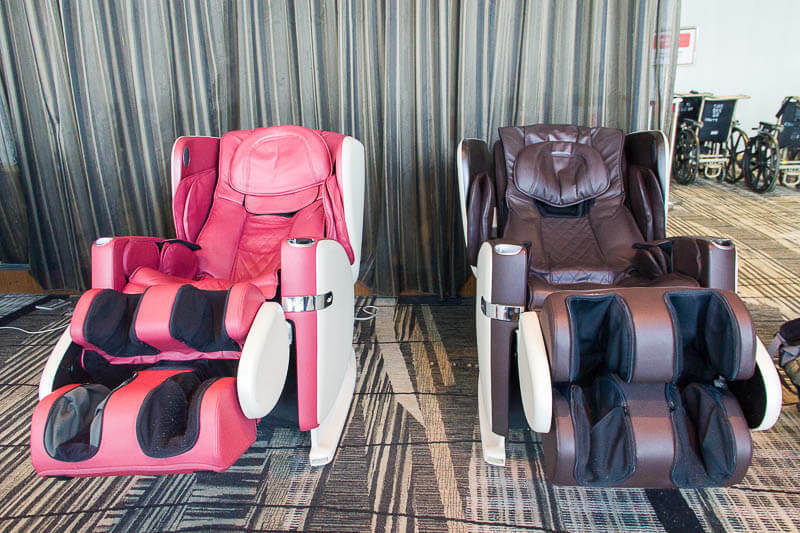 Actually, there are so many massage chairs scattered around all the terminals in Changi Airport. However, my personal favourite has to be the OSIM massage chairs at Terminal 3, Level 2, near Snooze Lounge. It’s a whole-body massage chair, not only foot massage chair. However, not all chairs were working when we visited. Awesome free-to-use full-body massage chair! Similar to Terminal 1 and 2, there’s also a Viewing Mall for everyone to see the planes and runway regardless whether they’re flying or not. The Slide@T3 is Singapore’s tallest slide and also the world’s tallest slide in an airport! The total height is 12m (4 storeys). 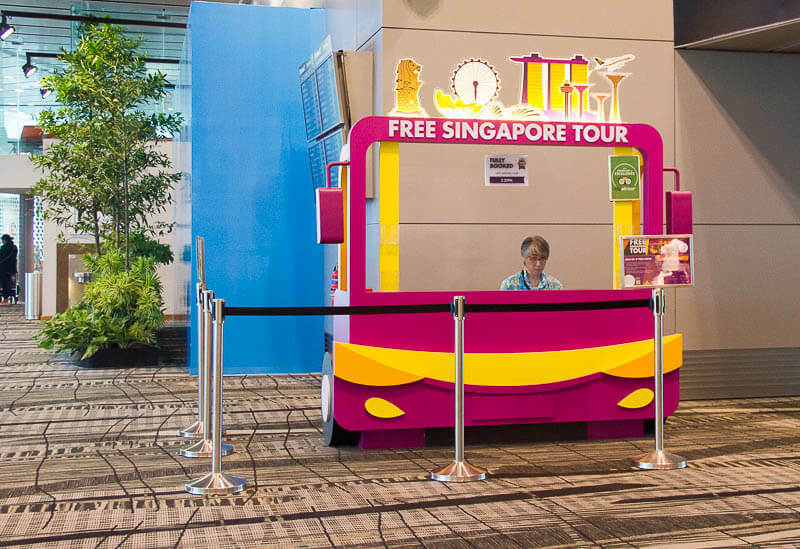 You’ll get a free ride if you spend $10 spent at Changi Airport in a single same-day receipt (excludes money changing facilities, medical clinics, top-up card and Crowne Plaza Hotel receipts). The slide is open for adults as well, as long as you’re above 1.3m and below 2m height. If you’re under 1.3m but over 1.1m high, you can enjoy the preview slide of only 1.5-storey at Basement 2. No purchase is required. The Peranakan Gallery at Terminal 4 is like a mini version of Peranakan Museum. 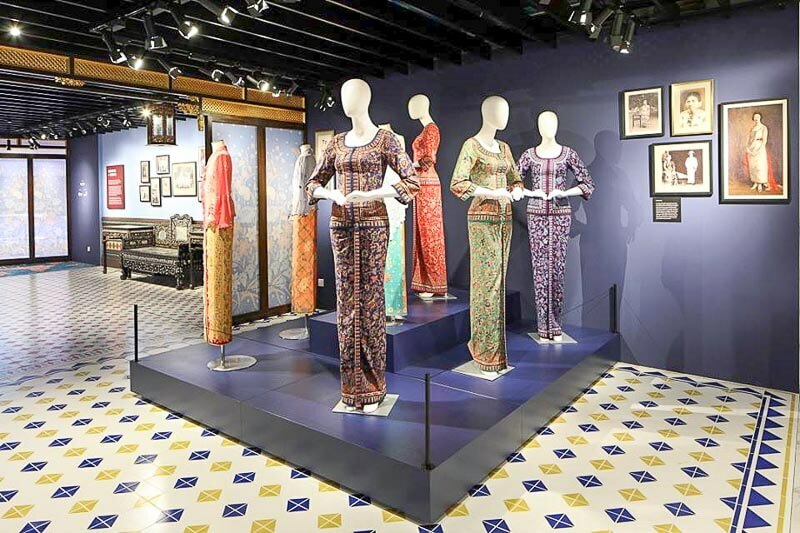 Here, you can find old Peranakan photographs, traditional furniture including wedding bed and crockery, sarong kebayas that inspire Singapore Airlines’ uniform, a miniature of the traditional Peranakan shophouse, and many other Peranakan-related exhibitions. Peranakan Love Story is a 6-minute long video that’s played on the Heritage shophouses’ façade, located at Heritage Zone at Level 2. The story is set in the 1930s era in Singapore. It’s a non-conversational musical performance about the romance of two young adults who are neighbours. 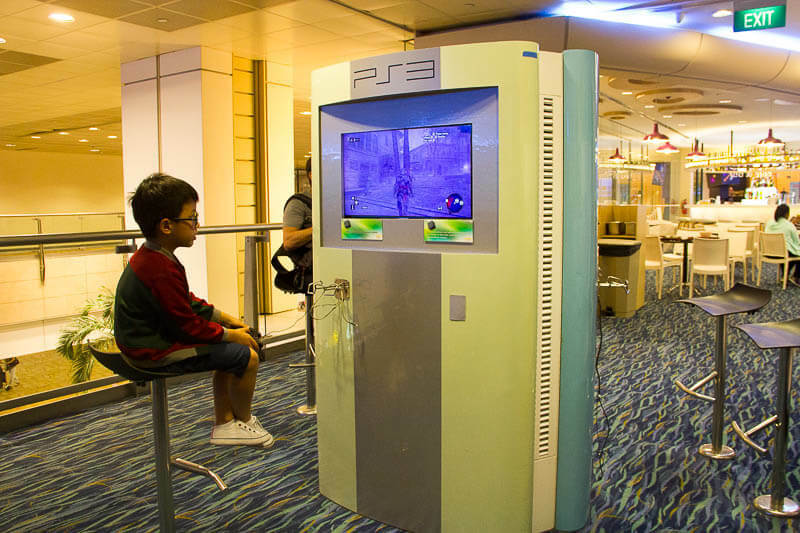 Located near gate G18, the Entertainment Corner offers Xbox Kinect and Arcade Games for you to enjoy before your flight. The TV Lounge allows you to catch some TV shows while relaxing in the comfy seats. 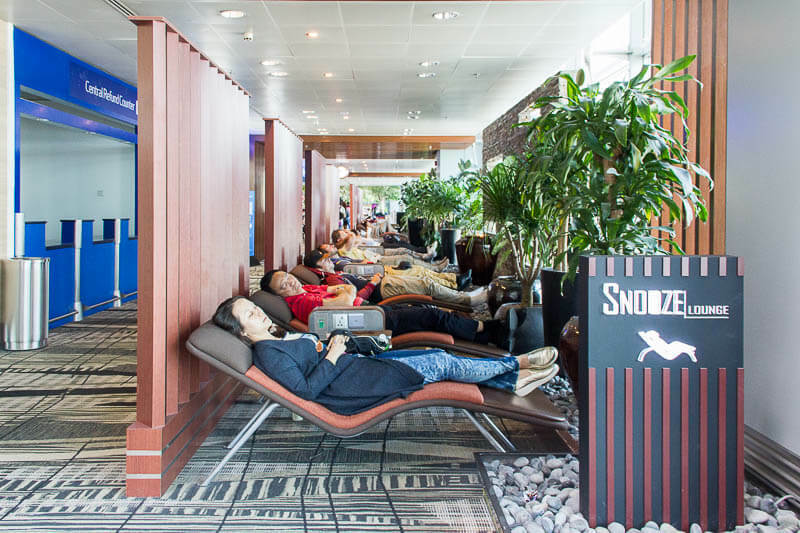 Yep you can sleep or nap in Changi Airport Terminal 4. Head to Level 2 and 2M to restore your energy tank! 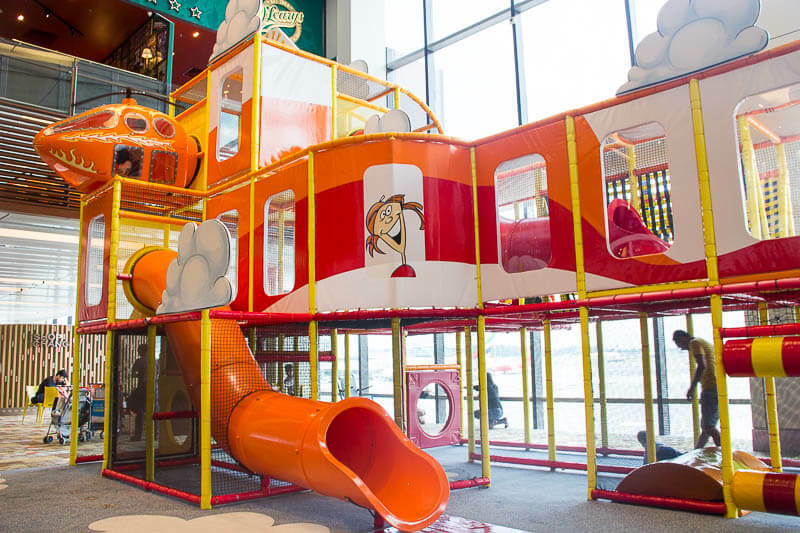 Every terminal in Changi Airport has a playground. 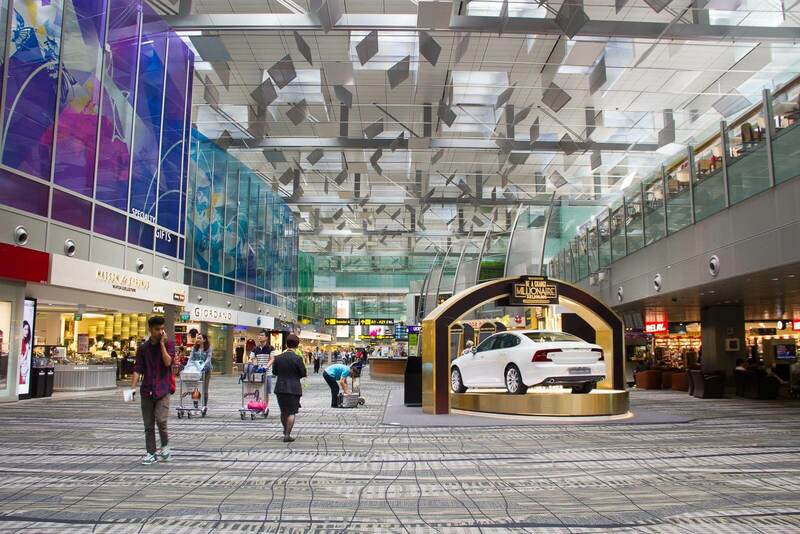 At Terminal 4, it’s located at Level 2, next to Heritage Zone. I don’t think there’s a free shower in Changi Airport. So, if you really need a shower, I recommend that you go for a swim at this gorgeous swimming pool instead. 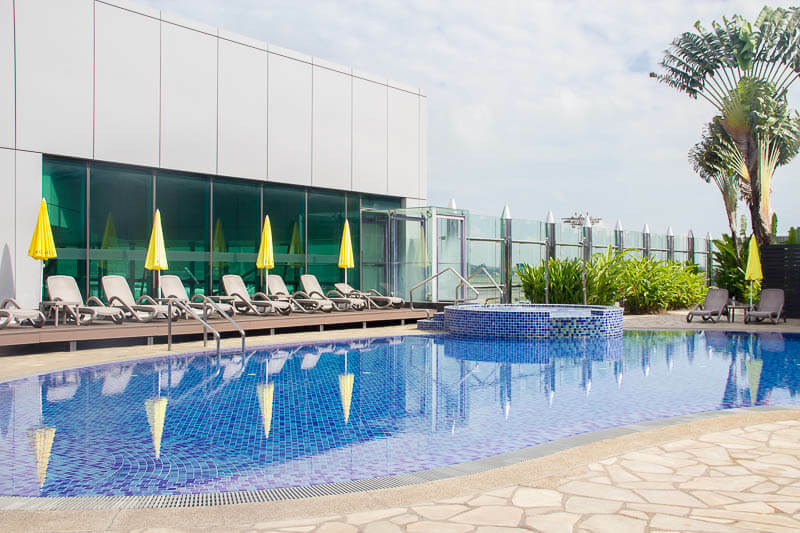 Even though this rooftop pool is part of Aerotel Airport Transit Hotel, it is open for public as well. It costs SGD 17 per person for access to this swimming pool, jacuzzi and its shower facilities. There’s also a poolside bar! Plaza Premier Lounge is a pay per use lounge where you can choose to enjoy just the shower facility or the full lounge facilities. For shower facility, it costs SGD 16 and it comes with shower amenities and welcome drink. 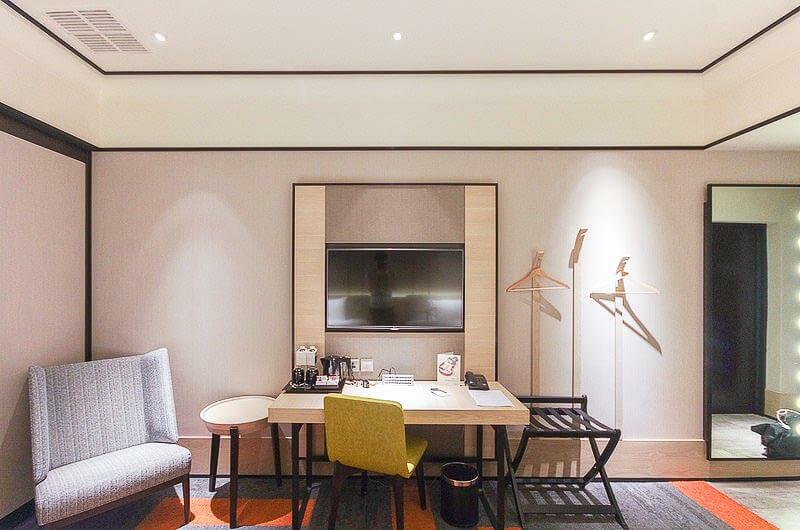 For Lounge use, guests can enjoy signature dishes, shower facilities, complimentary Wi-Fi, charging stations, TV channels, newspapers and magazines for leisure reading. It costs SGD 58 for 5 hours, and SGD 105 for 10 hours. 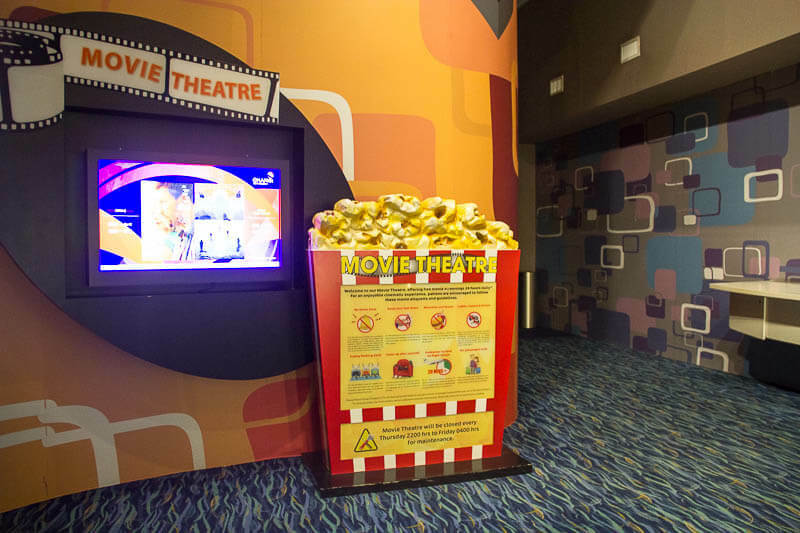 children aged 2 to 11 enjoy 50% discount, while children under 2 years old enjoy free access. 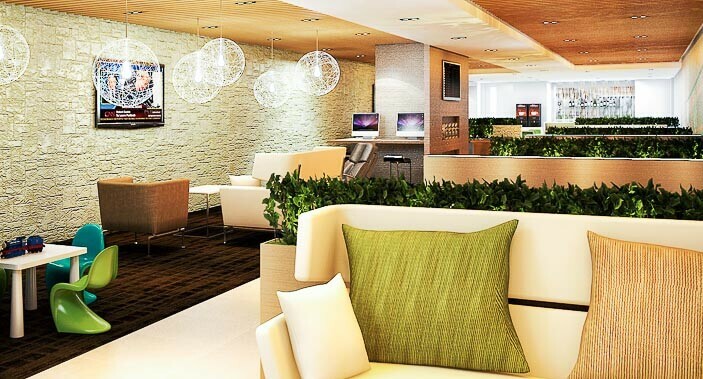 There are also private resting suites that require additional fees. If you need a room for a comfortable overnight sleep or nap at Terminal 1, head to Aerotel Airport Transit Hotel. Prices start from SGD 55 onwards. Guests of Aerotel have complimentary access to the swimming pool! 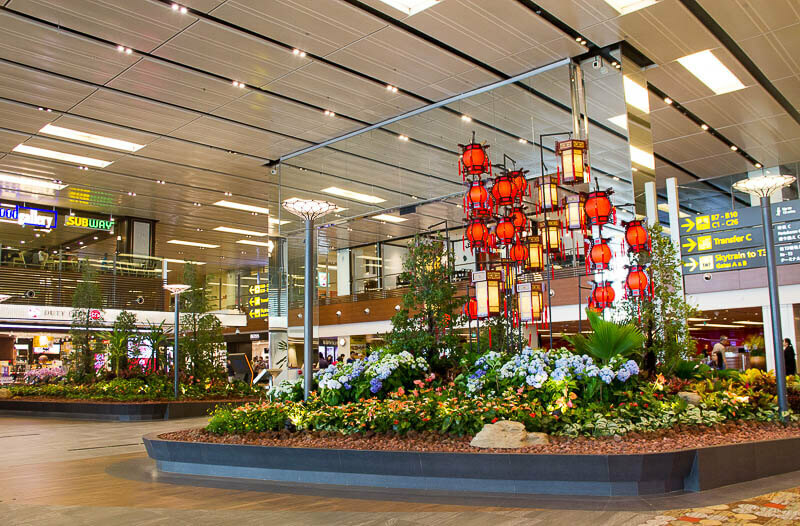 Full detail of Changi Airport’s transit hotels here. 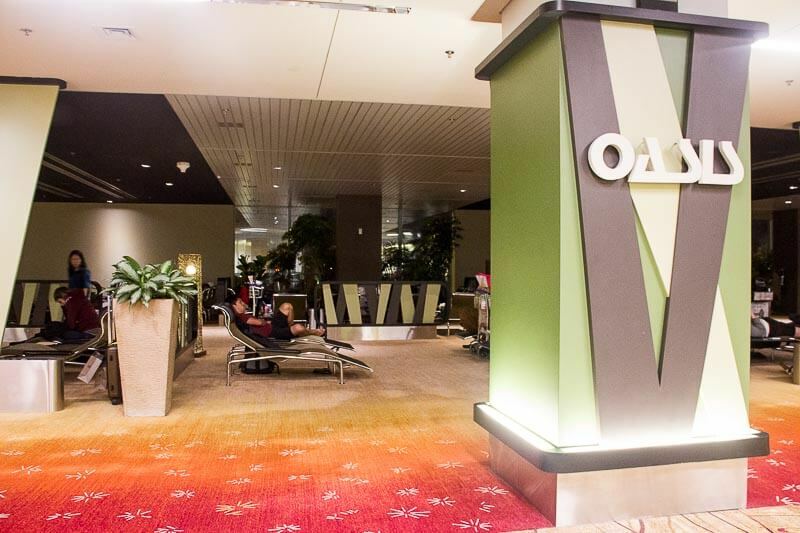 Whether it’s fish spa, foot reflexology, or full body massage, the folks at Airport Wellness Oasis are ready to serve their guests 24 hours a day, 365 days a year. 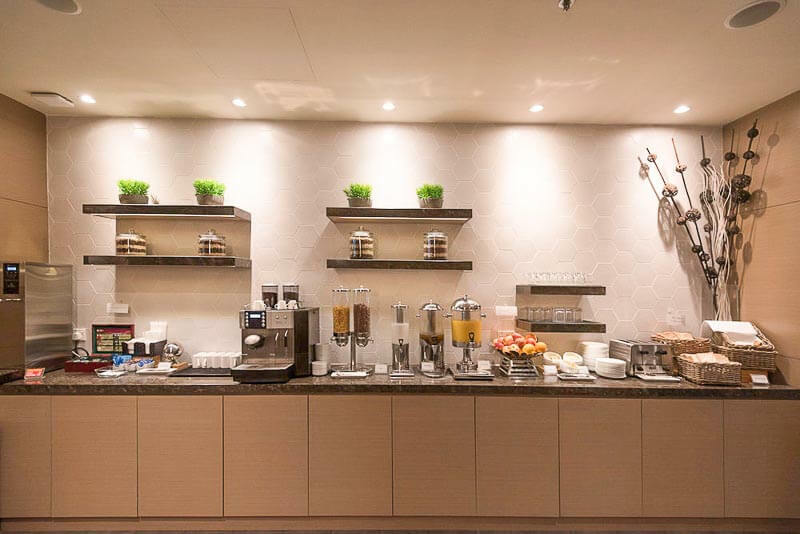 Ambassador Transit Lounge is a pay per use lounge that offers various services and facilities. The rate for 5 hours usage is SGD 58.85/adult. Children between age 6 to 12 enjoy 50% discount, while children under 5 years old enjoy complimentary entry. 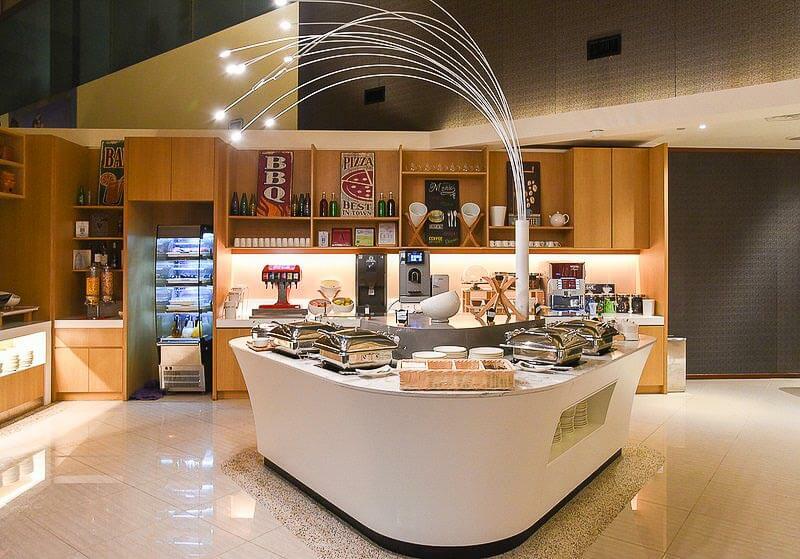 Included are the buffet and non-alcoholic drinks, shower, wifi, osim massage chairs, newspaper, magazines, and computer stations. For 3 hours usage, the rate is SGD 40/adult. Shower only costs SGD 16. Gym access is available with additional charges. Nap suites cost SGD 41.2/person for 3 hours. The lounge also has printing and photocopying services. Open from 6am to 1am daily, Spa Express offers massage, body scrub, facial and even shower and sauna facility. Their services range from 20 minutes to as long as 90 minutes. The price starts from SGD 45 for a 20-min massage and SGD 15 for a 30-min shower. Similar to the one in Terminal 2, the rates for Ambassador Transit Lounge is SGD 58.85/adult for 5 hours usage, and SGD 40/adult for 3 hours usage. Lounge access includes the buffet and non-alcoholic drinks, shower, wifi, osim massage chairs, newspaper, magazines, and computer stations. Children aged 6 to 12 can enjoy 50% discount, and children under 5 enter for free. If you’re not taking the lounge package and just want a shower only, it costs SGD 16. There is no gym at Terminal 3, instead, there’s a meeting room. There are also Nap Suites; they cost SGD 41.2/person for 3 hours. 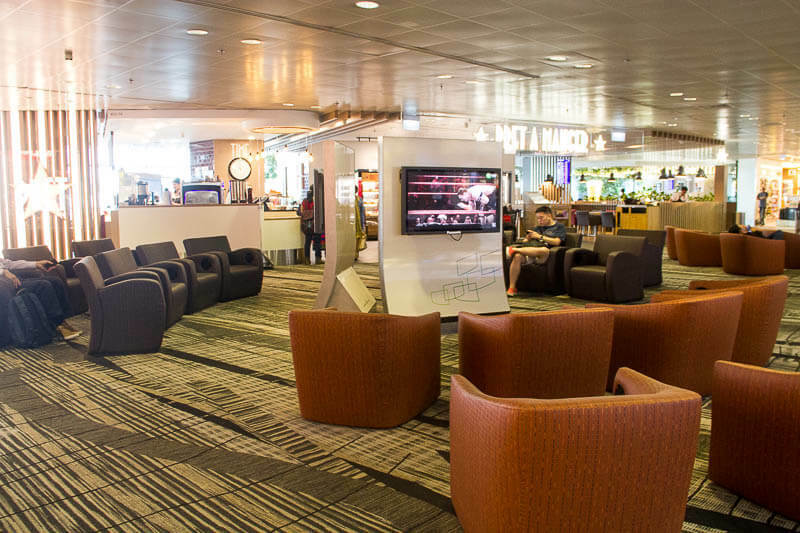 The Haven by JetQuay is the only pay per use lounge at Changi Airport that is located in the public area. 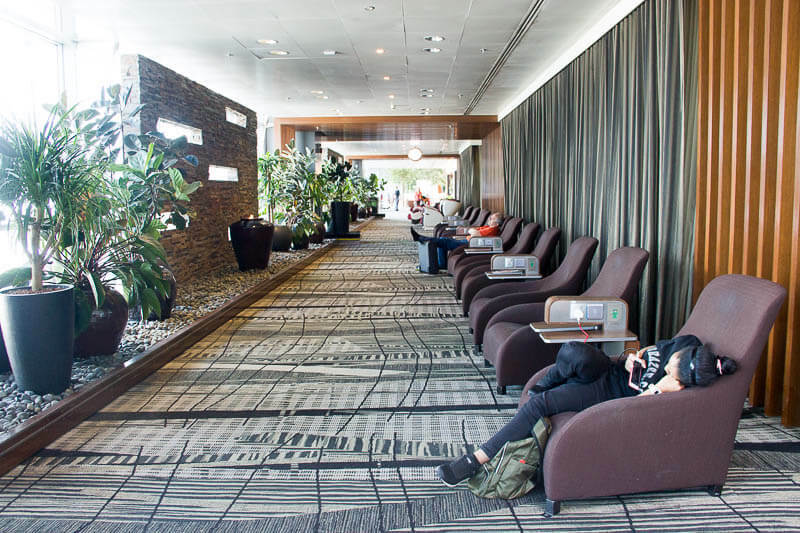 The rate of the lounge package starts from SGD 35.31 for 2 hours usage. It includes light refreshment, drinks, shower, wifi, cable TV, newspapers, magazines, kids’ corner, a business centre with internet workstations, photocopier machine and complimentary wireless internet service. Shower-only facility costs SGD 16.48. Nap rooms start from S$82.39 for 3 hours. Meeting rooms are available for booking at additional charges. 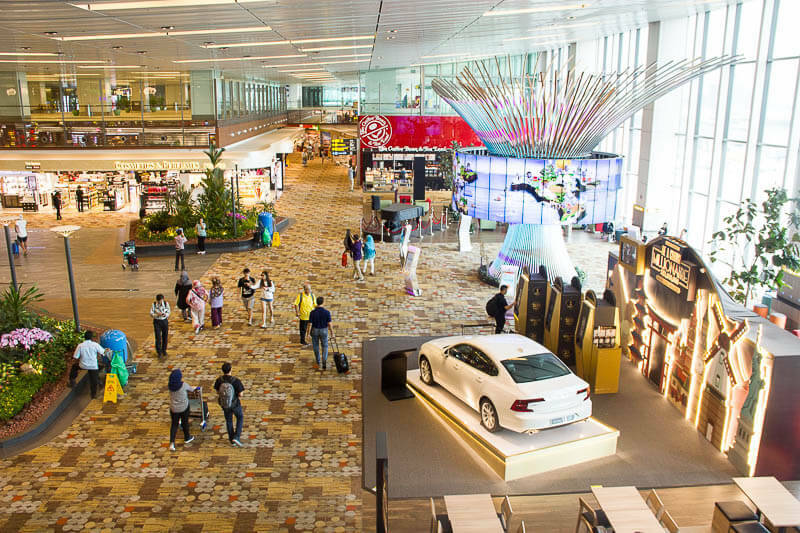 This list highlights the things that most people do not know about Changi Airport. 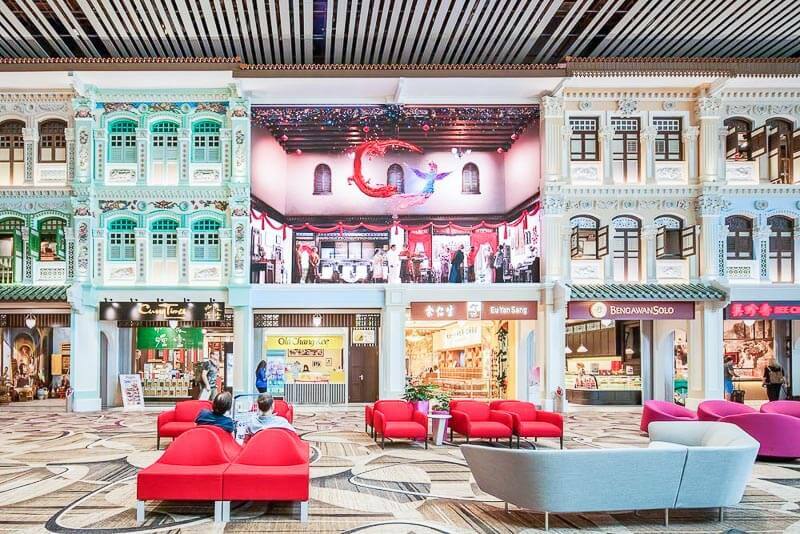 I don’t include things that most people know are present in Changi Airport, such as airline lounges, airport hotels, F&Bs, retail shops, convenient stores, common services & facilities (such as money changer, baggage deposit, prayer room, ATM, clinic & pharmacy, post office, wheelchair rental, etc). Oh, in case you don’t know yet, if you’re on a budget, you can get cheap food at Terminal 1 Staff Canteen and Terminal 2 Staff Canteen. Both are located in Public Area (the area where everyone can visit even if they’re not flying). ← Singapore Tourist Pass, EZ Link or Standard Ticket? Which One is Better?